Attorney Noah Paul Fardo, of the Pittsburgh law firm, Flaherty Fardo, LLC has successfully litigated a 10.5+ million dollar Allegheny County property assessment reduction for a commercial property client in Pittsburgh, Pennsylvania. The 3 year assessment appeal recently resolved in the court of Common Pleas of Allegheny County, Pennsylvania, resulted in a commercial property tax savings in excess of $411K. While past results do not guarantee future results, the appeal deserves attention for the strategy and approach used in obtaining the reduction, by ignoring the 2002 base year value and instead focusing on changing financial conditions in the current economy. Contrary to the current trend in Allegheny County assessment appeals, the appeal was won using the current fair market value of the property as opposed to the 2002 Allegheny County base year value. Most Allegheny County property assessment appeals are currently being litigated utilizing the 2002 base year value, arguing that property values were less in 2002. What most taxpayers do not know is that in the past few years Allegheny County property owners have been able to choose whether to use the 2002 base year value or the current market value in fighting property assessment appeals. If a property value has declined, or if there has been a significant change in vacancies or income, then it makes sense for property owners to ignore the 2002 base year, and focus on the current depreciation value of the property. This option for Allegheny County property owners will expire in 2012, prior to the 2013 Allegheny County reassessment. The 2012 reassessment is expected to use fair market values only as determined between the time period January 1, 2010 through June 30, 2010. The income approach for Allegheny County property assessment appeals is typically defined as ‘that value which would afford an investor the prevailing expected rate of return on his investment, plus recapture of his investment’. Pennsylvania property assessment law mandates that a valuation method (i.e. comparable sales approach, income approach or cost approach) must be used in order to change a property assessment. In this commercial appeal, attorney Fardo utilized the income approach because he believed it represented the most appropriate and accurate way to demonstrate that this commerical property had significantly declined in value. If you have questions about a commercial property assessment tax appeal in Allegheny County, Pennsylvania, please contact attorney Noah Paul Fardo, Esq. directly at 412.802.7080. Shawn T. Flaherty, Esq. 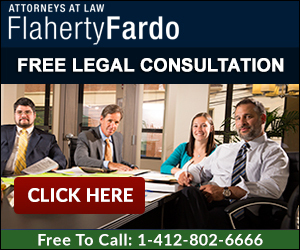 is the founding partner of Flaherty Fardo, LLC. 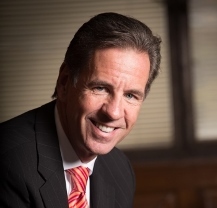 His efforts are focused in Pennsylvania personal injury law and business litigation. He is a former Pennsylvania State Representative for the 30th Legislative District of Pennsylvania.